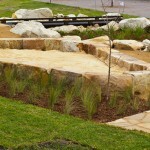 Outdoor retreats landscaping arrived at this school and it was like looking at the desert. 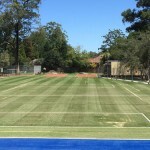 We cultivated the existing profile while adding premium turf underlay, soil conditioners and organic matter. 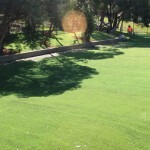 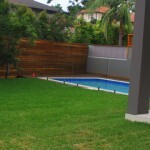 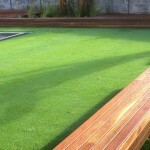 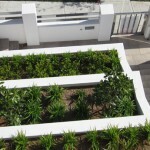 We installed a pop sprinkler system to irrigated the Kikuyu lawn area. 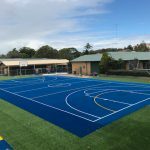 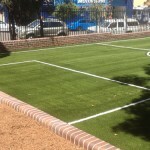 In the middle of school oval we installed a modified synthetic grass soccer field for the kids to play ball games on, this will ensure the longevity of the natural grass. 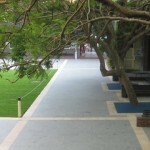 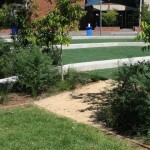 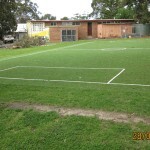 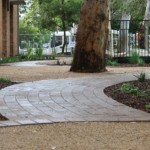 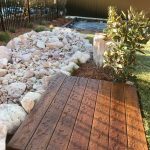 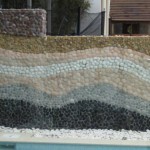 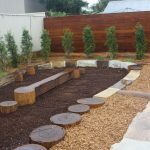 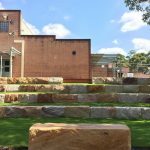 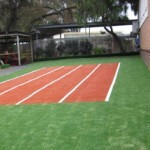 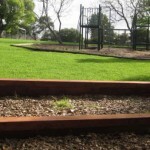 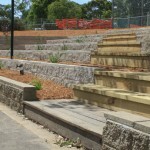 The Ferncourt P&C Association engaged “Outdoor Retreats Landscaping” in June 2011 to reconstruct the playground of Ferncourt Primary School, Marrickville. 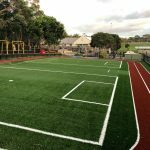 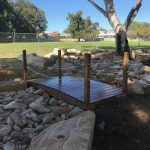 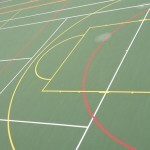 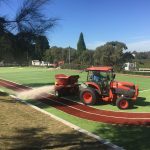 The redevelopment included the preparation of the site (turf removal), levelling, turfing and automatic irrigation system, installation of a new artificial turf soccer field, recovering of the cricket wicket in artificial turf , garden edging, perimeter fencing, seating area and drainage works. 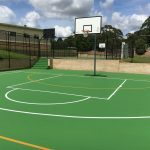 Damien and his team were professional in all their dealings with the School and the P&C, and ensured a safe work site at all times. 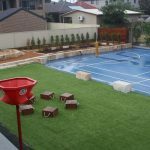 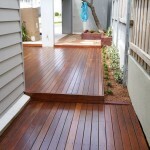 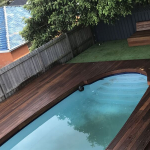 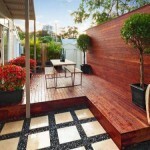 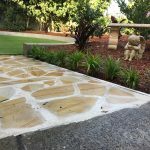 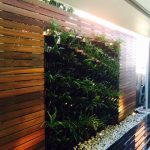 The project was completed ahead of time (despite torrential rain in the middle of the construction period), within budget and to a high standard. 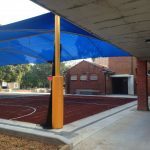 The school, students and P&C are all very pleased with the ‘new’ playground area.